Home air compressors have numerous benefits for Tennessee homeowners. For avid do-it-yourselfers, an air compressor makes home improvement projects much easier because it can power time-saving air tools, like paint sprayers, hammers, ratchets, and more. These tools also make for easier appliance and auto repairs, which can save you lots of money. And let’s not forget how easily a home air compressor can blow up bicycle tires and inflatable toys for eager children. An electric compressor is the safest option for indoor applications because it does not give off the exhaust of a gasoline-powered compressor. 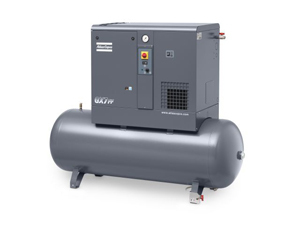 If your compressor will be used in a well-ventilated garage, a gas-powered model is ideal because it usually packs more power than electric models do. We have been in the compressed air business since 1982, and our staff has the expertise to help you find the perfect air compressor and compressor parts for the home projects you have in mind. Call or email us today for more information on compressors for your Tennessee home.